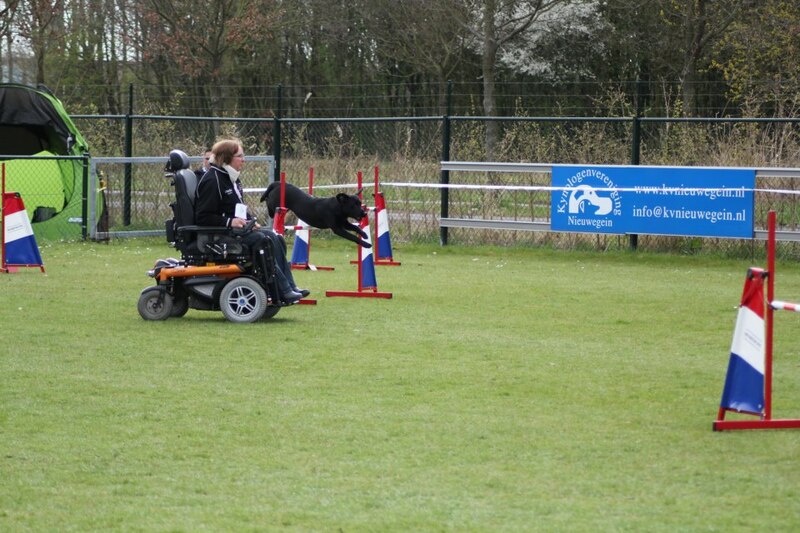 Our last agility-match before we will taking part into the ParAgility World Cup in Hungary. Only the A-classe for Joy en she had run good.On the Jumping Disqualification, but clear my fault ;-(...Agility and Game-course she had run nice, only 2 faults. Today only the A-class, so I had entried for Joy. 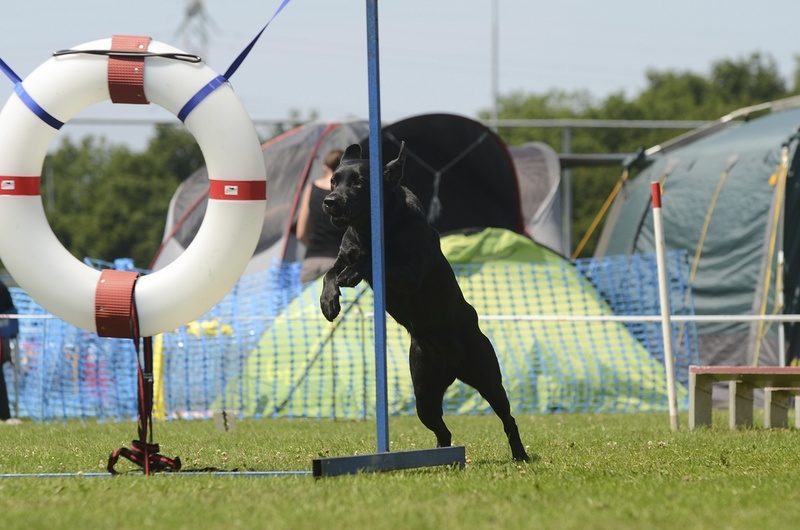 The start of the Agility-course was my fault, but the Game-course was again a very nice run of Joy! Oh, what a very hot weather, it was not easy to found some cool places, not for the dogs but also not for handlers! Joy a third place on the Agility-Course with a nice rozet. Joep a very nice clear Jumping, but his time was not enough for a price ! 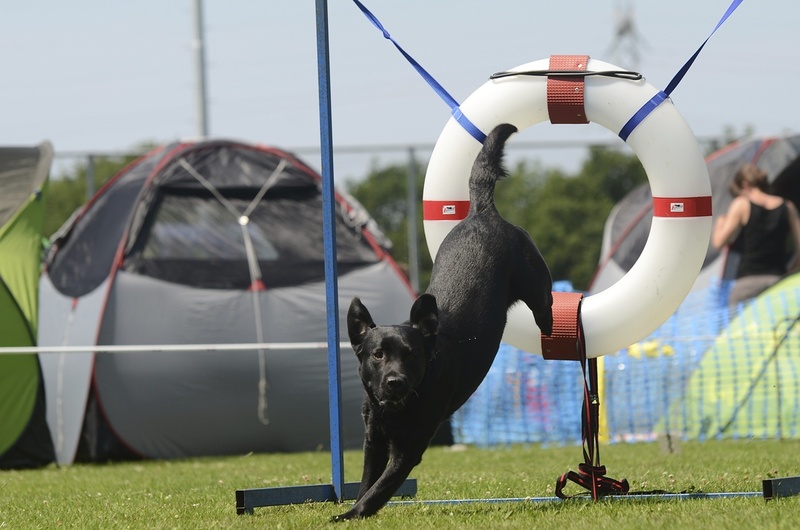 Again only entry for Joy, the Veteran-classe for Joep was the day before...then we had given demonstrations on the "Dog-Day Erkemederstrand". The Game-course a Time- disqualification, but the Agility-course was very nice....just within the SCT but only one fault...so not our second point we need for second level! Only entry with Joy into the A-classe large. On the Jumping a nice clear-round, but on the Agility-course 1 fault. 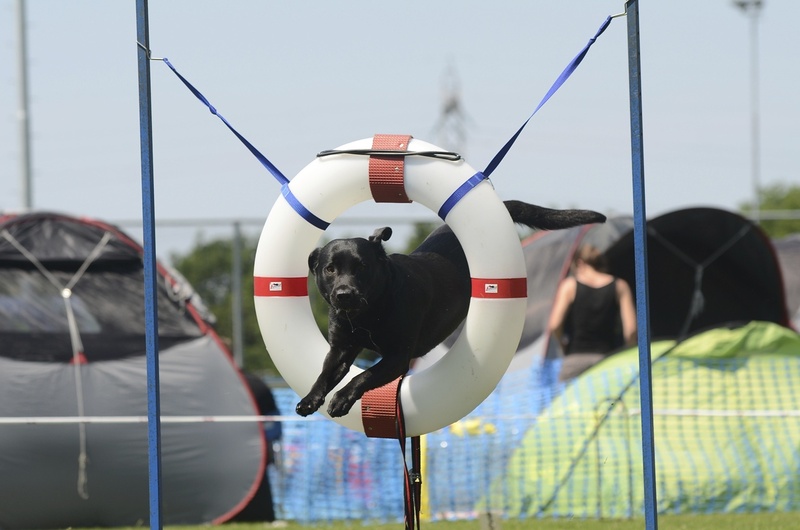 The Game-course was also an Agility-course.... 2 faults. But I was contented, Joy had run good! Very bad weather, a lot of rain just the end of the day it became dry! 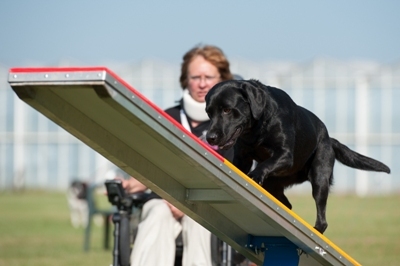 But a very good day, Joy get her first "Uutje" (excellent) on the Agility-Course!! Now we need two more and we will promote to the B-classe (second level). Even a cup we could take home! Joep was also running into the Veteran-classe. 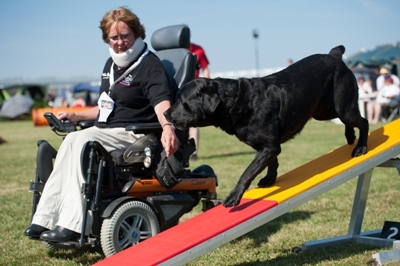 A clear run on the Agility - and Jumping Course! I had entried Joep and Joy, but Joep had a little injury....so checked out. On her Agility-Course 3 faults but the Jumping was a clear round! An evening- match with only an Agility- and Jumping Course for my young dog Joy into the A-classe. Arjen van Gastel as judge with nice courses. 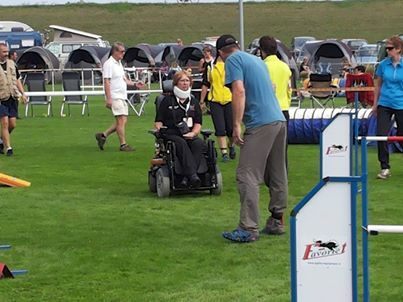 Joy was running a clear Jumping but on the Agility Course a Disqualification....my fault, I was push her the wrong way with my wheelchair ;-(....... but the rest she was running very nice! As preparing our participation into the 12th PAWC in September this year in Hungary I had entry Joep and Joy on two selectionmatches of the Team IMCA of the Netherlands in the DIT-Hall. They have very good carpet, so a nice training! 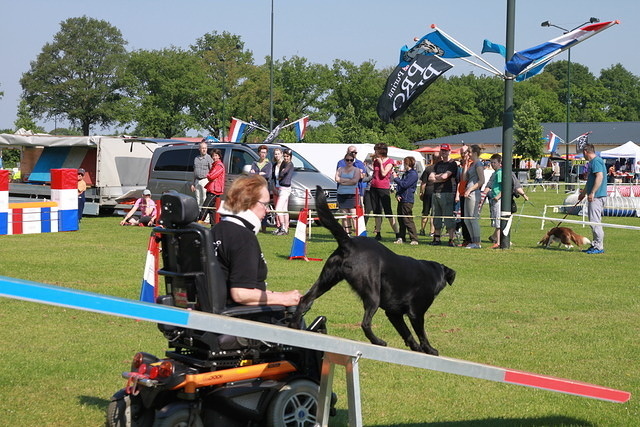 But, in spite of the courses were not easy for me to drive with my electric wheelchair, also Joep as Joy had run nice runs ! 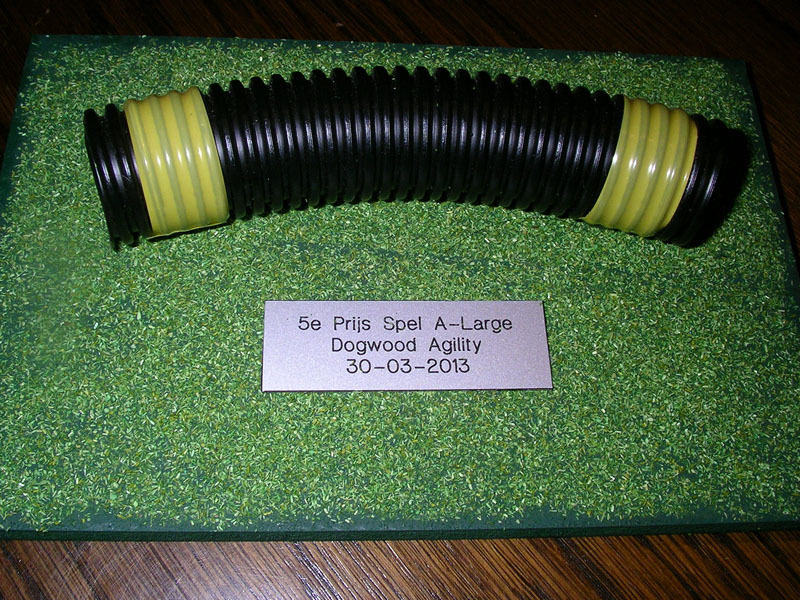 A nice agilitymatch organised by Dogwood Agility. Joep was running two courses into Veteran-classe and Joy three courses into the A-classe with a nice result of a 5th place on the Game-Course...and a cup to take home!